From a young age, we teach athletes to take care of their bodies. Stretch. Exercise. Eat right. Don't smoke. Unfortunately, research suggests that many of these athletes aren't doing one of the simplest things they can do to take care of their bodies; use sunscreen. Most sports are played outdoors in direct sunlight, and a significant amount of a person’s total sun exposure occurs during childhood and adolescence. Studies have linked this exposure during early life to increased incidence of both melanoma and nonmelanoma skin cancer in later life. In addition, several studies have noted an association between outdoor sports activities and skin cancer. The primary tools of prevention against skin cancer and photoaging are sunscreen and avoidance of sun exposure. Photoaging refers to the damage that is done to the skin from prolonged exposure, over a person's lifetime, to UV radiation. Although avoidance is most effective, it is not practical for those in outdoor athletics. A recent article published in the Journal of the American Academy of Dermatology by Dr. Brian B. Adams, Associate Professor in the Department of Dermatology at the University of Cincinnati, suggests that as much as 85% of collegiate athletes are not using sunscreen to protect their skin. 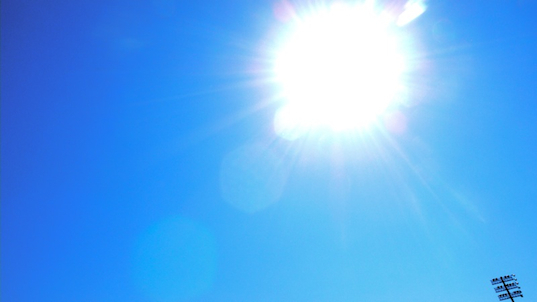 College athletes participating in outdoor sports are exposed to the sun for extensive periods of time, often during peak hours of ultraviolet radiation, nearly every day during their active season. In the study, athletes sighted a variety of reasons for not using sunscreen, including lack of availability, laziness and not understanding sunscreen was needed for their skin type. We can do better. To keep it simple, do this: buy your sunscreen, and buy a lot of it. Keep some in your gym bag, your locker and your car. If you are going to be outside, take 1-minute to protect your skin. You'll be glad you did. Mission was founded by a premier group of world-class athletes, all of whom work closely with our company to develop products that solve problems unique to athletes. This brand new Athletecare™ category provides clinically-proven solutions to people with active lifestyles. 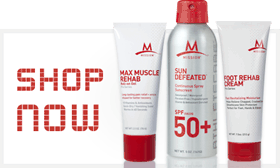 Mission has rolled out five new suncare products this summer; No Sting Sunscreen SPF 30+ Facestick, Sun Defeated™ SPF 50+ and 30+ Continuous Sprays, Kids Continuous Play™ SPF 70 Spray, and Ultra-Sweatproof Sunscreen SPF 30+ Lotion. Our Suncare products boast broad spectrum UVA/UVB protection, are sweatproof and waterproof, loaded with vitamins and antioxidants, and are 100% free of parabens. Gear up for summer. Shop our online store or visit any of our retail partners.